Aarhus University is being fined in 1.3 million euro for accepting more exchange students than it has sent abroad, what goes against the country’s regulations. According to the International Centre, there are currently 4,000 foreigners attending Bachelors and Master’s degrees, which account for about 10 per cent of the university’s total amount of students. In turn, no more than one thousand Danes enroll in an exchange program each year. The high percentages of internationals illustrate how the institution has become a popular destination for students in exchange. 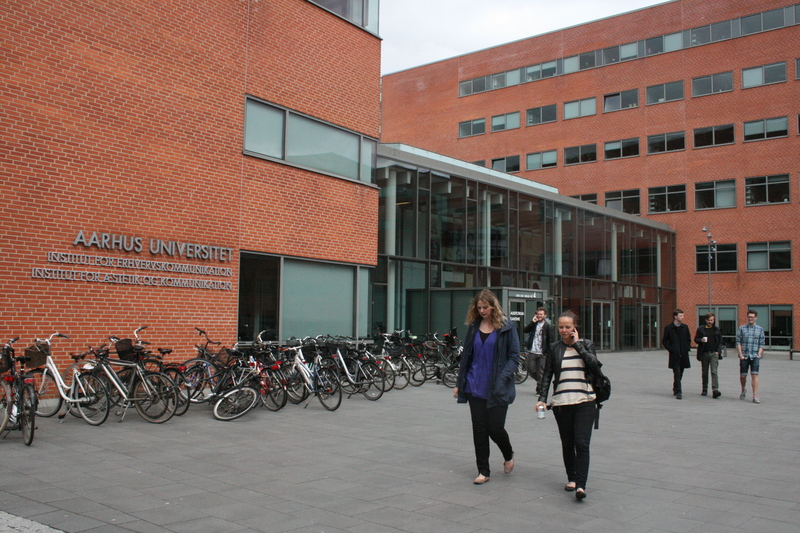 The latest data released by the European Commission shows that Aarhus University was the 27th institution to receive more Erasmus students in the school year of 2010-2011. This represents an increase of ten positions in relation to the previous year, when the University was ranked the 37th most popular destination. But what has brought so many foreigners to Aarhus University? According to the International Coordinator for Student Mobility, Louise Ydemann, it is due to the quality of the institution, the services offered (such as housing assistance, for instance), the high investments for research and the country’s security. She points out that “the university is ranked among the 100 most respected in the world by many institutions, and this attracts students from all over”. The Leiden Ranking, which shows Aarhus University in position 51, and the QS World University Ranking, which classifies it as the 89th best, are some of those institutions the coordinator refers to. Ydemann adds she tends to hear from internationals how much they enjoy feeling safe when walking around the city. “They have no fears of being robbed, and they really appreciate that”. For the Dutch student Nikyar Kasumova, however, the subjects offered by the Psychology Department were the main reason for choosing Aarhus University. “I checked the subjects in many universities and Aarhus had the most interesting ones”, she says. About the fact there are so many international students in the city, she says: “It is easier to make friends, because everyone is in the same position. They don´t know anyone and are opened to meeting people”. Regarding the fine the university may have to pay (it is currently under negotiation with the government) and the possible consequences of the penalty for future exchange students, the International Coordinator says the University has no intention to cut down the number of foreigners received. The idea is to send more Danes abroad, instead. Ydemann mentions that the International Centre (IC) has been working on promotional videos and has also been carrying out presentations aimed at national students. “Danes can be much closed about places they want to go. We want to open their eyes about other countries that might be interesting as well”. She adds that it’s also interesting for the Aarhus Municipality to receive many internationals, since the city has been chosen as the Capital of Culture for 2017 and should, therefore, be as multicultural as possible. Scholarships for a PHD program at Aarhus University can reach the monthly amount of 25.400 Danish Kroners, according to the institution’s website. These highly competitive salaries, in addition to the quality of the research groups and the university’s structure attracted the Brazilian computer scientist Bernardo David for applying for a Phd at the institution. “The university is very welcoming and the language is not a problem, since everybody speaks English”, he declares. The southamerican student mentions he is not the only foreigner in his research group. In fact, out of 15 people, only five are Danes. When questioned about what he thinks of the city, where he will live until 2017, Bernardo answers with satisfaction: “I love this place; despite being small it has many (leisure) options”. And concludes with a hint of irony: “Only the weather is not the best”.